Banish stress, ease tension, and add comfort, joy, and magic to your daily life with The Witches'spell Book. This enchanting guide is a must-have for spell casters of all levels. 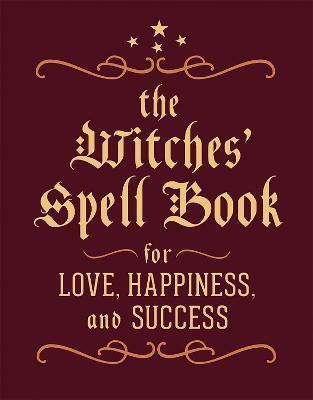 Including 60 good spells for love, prosperity, good health, profound wisdom, and much more, this powerful collection is sure to charm anyone with a penchant for the magical. Cerridwen Greenleaf, a.k.a. Brenda Knight, is a poet and medieval scholar, practicing witch and astrologer. She leads Wicca workshops and retreats throughout the U.S, and has published a number of books on witchcraft. She is the author of Women of the Beat Generation (Conari Press), which won the American Book Award in 1997.